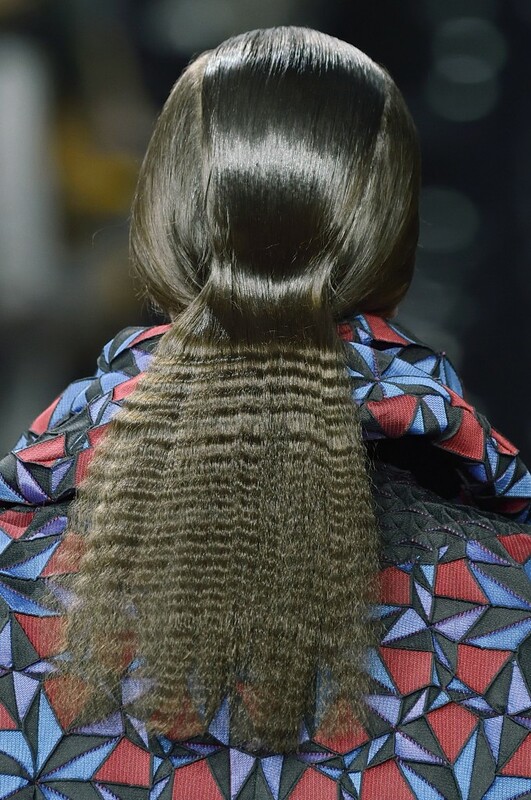 Our gold cuff could very well be the perfect companion to this Issey Miyake hair style, seen in Paris Fashion Week - Autumn/Winter 15/16. "Texture and graphic shapes combine for a sleek, structured front teamed with a heavily crimped, loose at the back hairstyle." Transitioning into Spring or Fall is easier when you have a statement piece. Revamp your classics and create a polished, put-together look with bold structure and texture. Key addition to this combination: Gold. 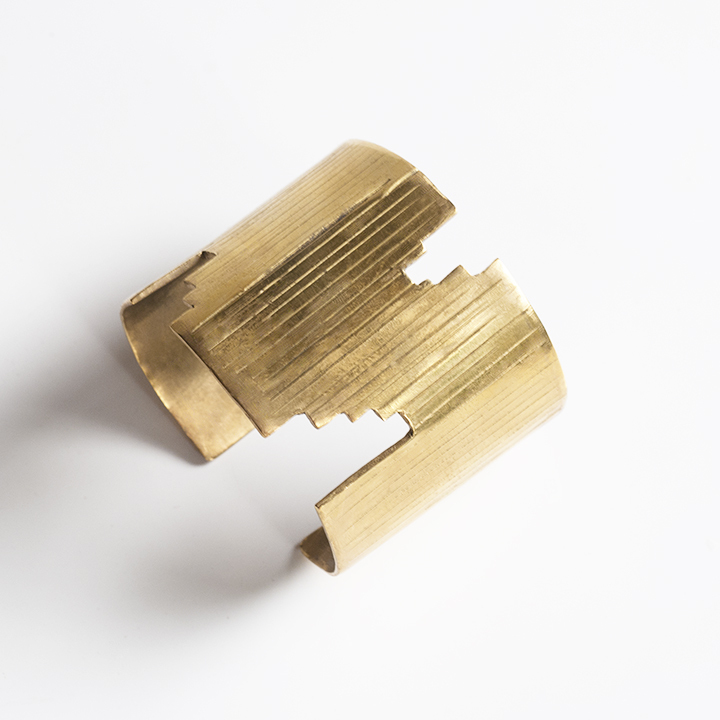 Gold Cuff, inspired by the movement of Maurice Ravel’s Boléro. A statement piece with bold texture and shape.